Uses sophisticated techniques like symbol renaming, control flow obfuscation, resource protection, metadata reduction, anti-decompiler/disassembler protection, digital watermarking & more! Protect your code and intellectual property from hackers, crackers or competitors. Increase ROI for your business. Save time & money spent handling deployment related issues. Improve performance of your application. Build a fast, light-weight and robust application. Add Licensing, Copy-Protection, Activation And Hardware-Locking To Your Apps, Libraries And Websites. Use military strength, cryptographic licensing technology for your software. CryptoLicensing offers the right balance of security, functionality, ease of deployment, customer-friendliness and flexibility. Full and evaluation or trial licenses. Online or manually activated and hardware locked licenses. On-demand and subscription licenses and more! PLUS: Usage Reporting - Gain insight into how your software is being used. Concentrate on writing the functionality of your namespace extension and not worry about the hundred things that are necessary to integrate the namespace extension seamlessly into Windows Explorer and File Open/Save Dialogs of apps. Flexible And High-Performance .Net Logging Framework. Comes with powerful yet easy-to-use logging console to view, search, analyze and manage log data. Crypto Logger is the ideal logging framework during development, on production systems or on remote customer sites. Hyper Build - Visual Build Automation, Testing, Deployment And Release Management Tool For Software Developers & Build Managers. Comes with hundreds of built-in actions for the most commonly used tasks and tools - creating builds has never been so easy and quick! Focus On Writing Your Actual Software - Don't Waste Time On Managing Builds! Improve Product Release Quality By Using A Repeatable Automated Build Process. Easily Design Your Builds Via The UI - No Coding or Messing With Text Files! Automate Your Entire Build Process - Save Time And Money! Rapid and Painless Development Of Windows Shell Extensions, Active Directory Extensions and IE Extensions. Concentrate on writing the functionality of your shell extension and not worry about the numerous things that are necessary to develop a working shell extension. ContextMenu, Property Sheet, Dragdrop, Icon, Thumbnail, Infotip, Overlayicon Extensions and More! 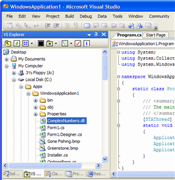 Eliminate switching back and forth between Visual Studio and Windows Explorer. Avoid disrupting your work flow - save time, reduce stress & work efficiently. Why Select Our Products ? Apart from our own research and development, the product is also shaped by customer feedback and requirements. Our product is used in real world settings requiring industrial strength quality and rock solid performance. The product is used by organizations large and small from all over the globe including Siemens, BP, Blizzard, Winzip and many others. Our products have received rave reviews from renowned developers and prestigious developer magazines. No runtime fees or royalties are involved when you distribute our controls with your applications. Our products fully support Unicode and translations in various languages such as Italian, German, French, Polish, Spanish, Norwegian, Japanese and Korean are available. Each control comes with comprehensive and easy-to-understand documentation for your reference. Each control comes with many samples in various programming languages so that you don't have to spend time learning how to use the controls. Opting for the Support and Upgrade Subscription allows you to get access to the latest upgrades free of charge and get prompt answers to your technical questions so that you can get on with you work. We are pleased to announce the release of CryptoLicensing v2018 with VS 2017 support, new features, functionality and bug-fixes. We are pleased to announce the release and immediate availability of Crypto Obfuscator for .Net v2018 - with VS 2017 support, new features, functionalityand bug-fixes. We are pleased to announce the release of CryptoLicensing v2015 with new features, functionality and bug-fixes. We are pleased to announce the release and immediate availability of Crypto Obfuscator for .Net v2015 - with new features, functionality, improvements and fixes. We are pleased to announce the release of CryptoLicensing v2013 R2 with new features, functionality and bug-fixes. We are pleased to announce the release and immediate availability of EZNamespaceExtensions v2013 and EZShellExtensions v2013 for .Net and MFC. The new version features improved support Windows 8 and Windows 7, some speed improvements and some new features. We are pleased to announce the release of CryptoLicensing v2013 with new features, functionality and bug-fixes. We are pleased to announce the release and immediate availability of Crypto Obfuscator for .Net v2013 - with support for WinRT/Win8 Metro apps, Windows Phone 8 apps, and other new features and improvements. 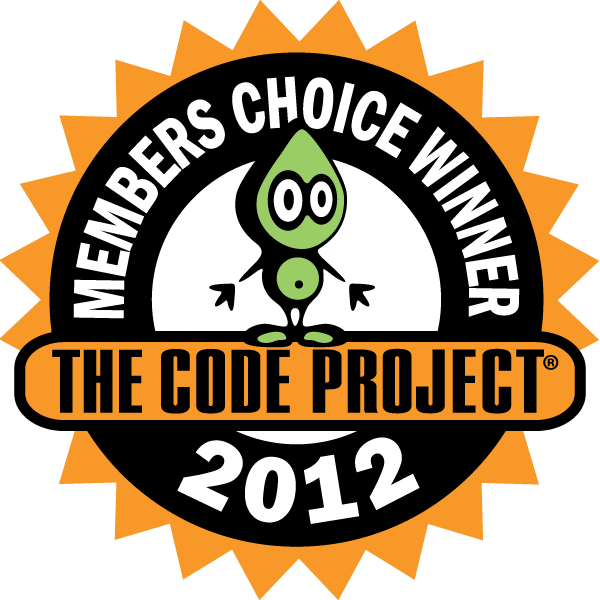 June 2012: CryptoLicensing for .Net won the Annual CodeProject 2012 Members Choice Award in the Licensing Tools category. We are pleased to announce the release of CryptoLicensing v2012 with new features, functionality and bug-fixes. We are pleased to announce the release and immediately availability of Crypto Logger for .Net - a flexible and high-performance logging framework for your .Net software. "Having never seen them before, I had an explorer clone running in less than 5 minutes..They have made it as simple as some drop on components! .."
"...If you want to protect your software from piracy, I suggest you take CryptoLicensing for a test drive. I have no doubt that it will enable developers to create secure licenses for their applications." most reliable, trouble free and programmer-friendly tools I use." I've had great experience with your controls and look forward to more productivity gains with the rest of the products"
I think your tools are great. Your tools are making our products look awesome, and are obviously saving me weeks of time." Since this was a tool which needed to be written in a short period your product allowed me to add GUI functionality which otherwise would have taken me way too long to program manually. Apart from that, I think the support is worth mentioning as well. The few questions I had were answered and solved quickly. implement your controls into our project." I came across it again now, and the improvements made it very usable for me now. And I must say, I'm impressed! Keep up the good work!"